This is the classic oud fragrance, the precious essence beloved for its deep, soul stirring sweet spicy woodiness. 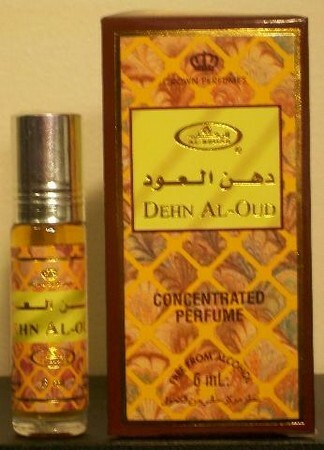 Dehn Al-Oud is another of our best sellers. Must have it, must try it. Has a woody smell. The closest definition would be if you spray some water on a very dry bark of wood with some sharp notes of spice. But it is not original oud, the closest and the best OUD FRAGRANCE on Al-rashad will be Al Haramain Oudi - Oriental Perfume Oil [15 ml]. With that being said I ll give 3.5 stars to the perfume. The product is excellent. Delivery was prompt and very timely. I am extremely happy with the overall service, and would definitely recommend Al-Rashad to all my acquaintances.